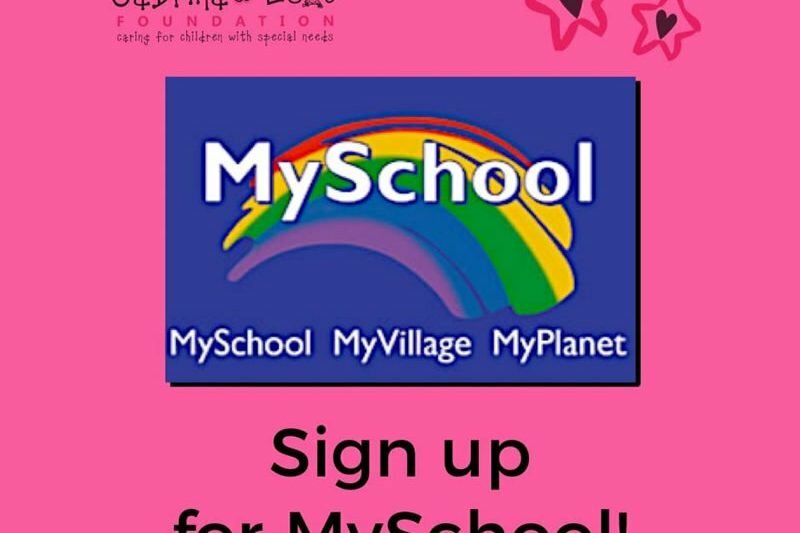 Welcome to Support-a-Star and thank you for using this website (the Site). We are the Sabrina Love Foundation (Section 21 Registration No:2003/02258/08 NPO Registration No:032-881-NPO) and together with our subsidiaries, affiliates, agents, representatives, consultants, employees, officers, and directors — collectively, represent Support-a-Star. By using the Site and our services (together with the Site, the Services), you agree to these contractual rules (the Terms). Sometimes we might change these Terms. We’ll do our best to notify you personally of any changes (if we have your details), but in any event we will also inform our community of these changes by posting a notice on the Site. Support-a-Star is only for your personal, non-commercial use. If you plan to register, the information you give us should be complete, and up-to-date. We reserve the right to cancel your account if you don’t comply with any of these Terms. Please remember that if you do choose to register, you are responsible for all the activity on your account, and for keeping your password confidential. If you become aware that your account has been used without your permission, you must report it to us here. To register for an account, you must be at least 18 years old. content that is misleading, false, or intentionally inaccurate. content which in any way threatens the security of the Support-a-Star network or one of its users’ computers, including the distribution of malware, viruses, Trojan horses, or any other harmful piece of software. putting strain on Support-a-Star infrastructure – you may not engage in any activity that places a disproportionately large load on the infrastructure of Support-a-Star or its affiliates. 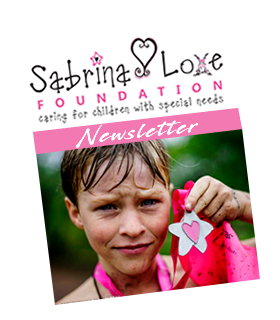 Support-a-Star provides a funding platform for The Sabrina Love Foundation charity. When someone agrees to support our Support-a-Star program, they may invite other people to form a legal contract with them. Anyone who contributes to the charity is accepting the charity’s offer, and forming that contract. When a project is successfully funded, the charity must use the funds for the purpose advertised. Once the charity has done this, it has satisfied its obligation to its contributors. No refunds are offered by the charity. Throughout the process, the charity owes their contributors a high standard of effort, honesty, transparency and a commitment to achieving the advertised goals of that charity. Contributors must understand that there could be delays in the charity achieving what it has set out to do. A donation is an irrevocable and unconditional act and, once a donation has been made using the Services, the contributor is not entitled to a refund unless the charity agrees to the refund and special arrangements are made directly with the charity. Once the charity has refunded the contributor it has no further obligation to that contributor, and no further agreement exists between the two parties. Responsibility for using donation money as advertised rests entirely with the charity. 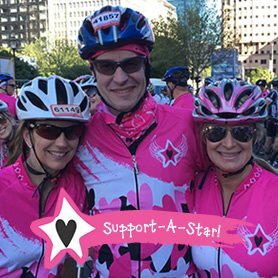 Support-a-Star does not guarantee that donations to the charity will be tax deductible. The Site may contain links to other websites (which we do not necessarily endorse). When you access these websites, you do so at your own risk. Creating an account on Support-a-Star is free. For every donation made using our Site, the full amount is used by the charity for projects. Our payment partners (such as VCS, Payfast and PayPal) do collect fees from every transaction. Support-a-Star does not become the owner of the content that you post on your page. However, Support-a-Star does require some control over your content in order to perform the Services. Once you post information on your page, you grant Support-a-Star a worldwide, irrevocable, non-exclusive, continuous and royalty-free right to use, reproduce, display and distribute the content that you post. Support-a-Star is also entitled to modify, delete, translate or reformat the content that is posted on your page. The Services are legally protected by copyright, intellectual property rights and other rights and laws. You are obliged to respect Support-a-Star protections at all times. Content that appears on the Support-a-Star site, whether its own content or content generated by its users, may be used and reproduced by you for personal use only. You may not use any content that appears on the Support-a-Star site for commercial gain, without prior permission from the relevant copyright holder. “Support-a-Star”and “Sabrina Love Foundation “ logo’s are protected under trademark registration and any unauthorised use of these marks is prohibited. to make changes to the Site and Services without notice or liability. to reject, cancel, interrupt, remove, or suspend any project at any time and for any reason. Support-a-Star is not liable for any damages as a result of any of these actions, and it is our policy not to comment on the reasons for any such action. You use the Services solely at your own risk. They are provided to you voetstoots and without warranty of any kind, whether express or implied. If you do something that results in us getting sued, or if you break any of the promises you make in these Terms, you hereby indemnify us and agree to defend and hold us harmless from all liabilities, claims, and expenses (including reasonable attorneys’ fees and other legal costs) that arise from or relate to your use or misuse of the Services. In no event will Support-a-Star (or our directors, employees, partners, suppliers, or content providers) be liable for damages of any kind, including but not limited to damages (i) resulting from your access to, use of, or inability to access or use the Services; (ii) for any lost profits, data loss, or cost of procurement or substitute goods or services; or (iii) for any conduct of content of any third party on or in connection with the Site (including hackers or employees/agents of Support-a-Star acting beyond the scope of their authority). In no event shall our liability for direct damages be in excess of (in the aggregate) one thousand Rand. By using the Services, you release Support-a-Star from claims, damages, and demands of every kind — known or unknown, suspected or unsuspected, disclosed or undisclosed — arising out of or in any way related to such disputes and the Services. In the event that you have any complaints or believe that we have caused you any loss or harm, please contact us (using the contact details provided here) first before resorting to legal action. In the unfortunate situation where legal action does arise, these Terms (and all other rules, policies, or guidelines incorporated by reference) will be governed by and construed in accordance with the laws of South Africa, and you consent and submit to the non-exclusive jurisdiction of the High Court of South Africa, Western Cape Division, Cape Town in any dispute arising from or in connection with these Terms. These Terms constitute the entire agreement between you and Support-a-Star with regard to the Services. Neither you nor Support-a-Star will have any claim or right of action arising from any undertaking, representation or warranty not included in these Terms. No agreement to vary, add to or cancel these Terms as they specifically apply to you will be of any force or effect unless recorded in writing (which doesn’t include email) and signed by or on behalf of both you and Support-a-Star. If any provision of these Terms is rendered void, illegal or unenforceable under any law of any jurisdiction (provided the provision isn’t vital to the proper understanding of these Terms), the validity, legality and enforceability of the remaining provisions should not in any way be affected and the legality, validity and unenforceability of such provision under the law of any other jurisdiction are not in any way affected or impaired. These Terms are personal to you and you can’t cede any rights that you may have against us, or delegate any obligations you owe to us, unless you have our prior written consent. There may, however, be circumstances where we need to cede our rights against you or delegate our obligations owed to you to third parties (for example, if we undergo a corporate restructure). These Terms constitute your prior consent to such cession and delegation. If we do cede our rights or delegate our obligations, we do undertake to notify you of this by email, or by posting a notice on the Site. Well done and thanks for reading these Terms…and welcome to Support-a-Star!